At Clipper, we have taken on the growing problem of Returns Management. And we’ve come up with an agile and cost-effective solution. That solution is Boomerang™. An answer for retailers operating in the UK and across Europe. Whether it’s fashion retail, high-value or general merchandise, Boomerang™ can take cost, complexity and risk out of your supply-chain. It will enable you to grow and trade more competitively and more responsibly. Our work with companies like ASOS, SuperGroup and John Lewis demonstrates a high level of expertise in managing the returns processes smoothly and efficiently. 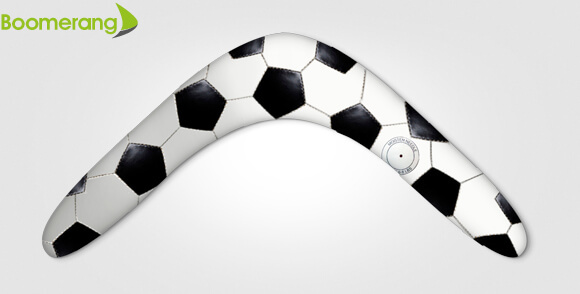 For any company looking to evolve in the UK and Europe, Boomerang™ is the key. To find out more, watch the video below or contact our Head Office on 0113 204 2050. 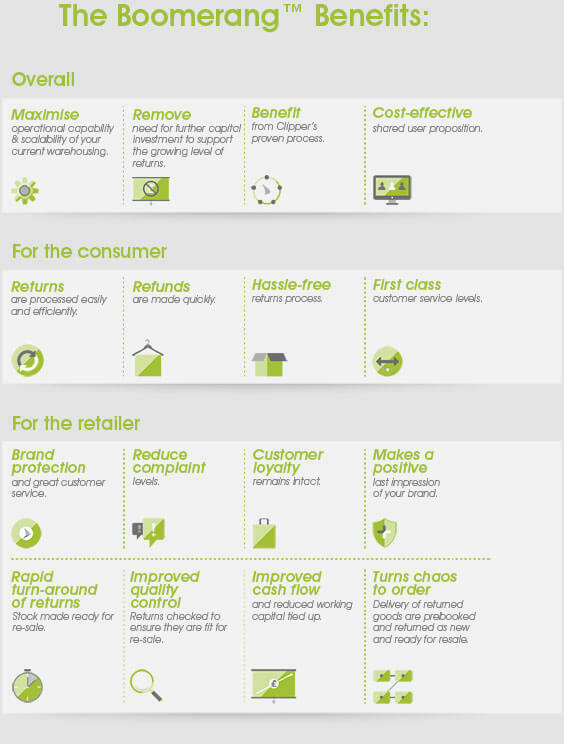 Download Retail Week Returns Whitepaper here. 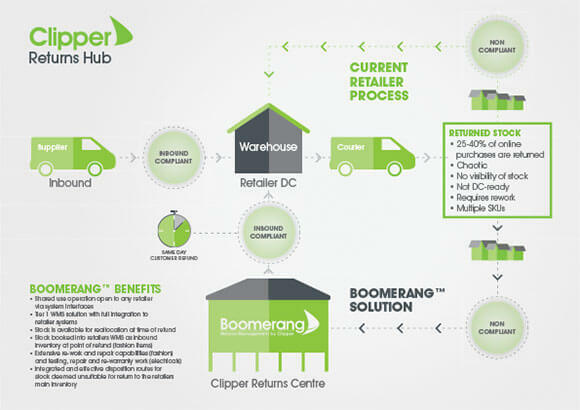 Download Clipper Boomerang™ Brochure here.